Everyone hears about how owning a pet can improve their quality of life. However, it’s easy to take such claims with a grain of salt. Perhaps if people knew to a greater degree the benefits of pets, they may just go out and adopt a litter all to themselves! With the aim of education in mind, let’s take a look at some of the incredible ways our animal companions can have a significant effect on our health. For starters, pets increase serotonin and decrease cortisol. These two chemicals are associated with pleasure and stress, respectively. So the first health benefit of pet ownership is quite literally, medicinal-quality mood enhancement. Their very presence can alter human body chemistry! That alone is incredible, but the pet ownership perks don’t stop there. It’s also been shown that a lower resting blood pressure rate is one of the benefits of pets. They’ve even been attributed with the ability to relieve hypertension in children to a small degree. Pet owners on average are usually less prone to high cholesterol and triglyceride counts, although no direct link between the animal and these health benefits have been established. It may be that people who own pets are predisposed to having a healthier lifestyle in which they go on daily walks, engage in more activity, and are less sedentary by default. Dogs and cats both actually have significant statistical impacts on heart disease as well, with cat owners being far less susceptible to cardiac problems than their fellow folk who are rocking it feline free . Similarly, dog owners who did suffer heart attacks and survived are far more likely to make full recoveries within one year after their attacks take place, as compared to people without dogs that is. While pet ownership is a handful no matter what kind of animal you keep, dogs in particular have a habit of keeping you on your feet and moving. Because of their constant need for walks, outdoor play, and physical interaction, dog owners tend to have a far less prevalent occurrence of obesity and associated weight problems. Combine these pet benefits with an Atkins diet and you’ll be beach ready in no time! Although dogs have an advantage in the physical fitness category, cats have a corner on the market of creepy intangible pet benefits. For some unknown and unquantifiable reason, cat owners are far less likely to suffer a stroke. The debilitating blood clots to the brain that can doom a person to a lifetime of paralyzed facial features can be prevented by having an odd furry roommate you’ve taught to poop in a box. Life certainly has its mysteries. Perhaps that’s why the Egyptians worshiped them. 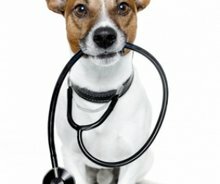 Regardless of whether you prefer a precious purring pussycat or a dutiful and delightful doggy, you can rest assured that owning either puts you ahead of the game in the health department. These are actually only a few of the incredible health benefits that pet ownership can provide. So remember to give your animal companion an extra treat for all that they do to protect their families!